17 days from £6290pp plus international flights. Exhilarating rooftop train ride through the Devil's Nose. The colonial splendour of Cuenca and Banos. The southern highlands of Ecuador are a wonderful blend of stunning scenery, fascinating Andean culture, and interesting history. Add the uniquely special Galapagos islands to this mixture and you have truly brilliant holiday! After a day exploring the capital city of Ecuador, you head south via the Avenue of Volcanoes with a visit to Cotopaxi National Park and the highest active volcano in the world. The next few days are spent with your own private guide and driver and you can explore the region as you like, including the town of Banos, the famous Devil's Nose train ride and an overnight in the city of Cuenca, one of Ecuador's most beautiful cities. From Cuenca travel overland to the city of Guayaquil and explore the craggy landscape of El Cajas National Park en route. 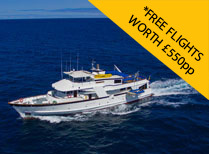 You then have the pleasure of a 8 day cruise around the Galapagos Islands, one of the world's greatest wildlife experiences. Your home for the next week is a prestige class yacht. The Beluga is an elegant, comfortable motor yacht with lots of space and different deck areas for relaxing. The food is excellent, and the yacht crew offer a great service. And what will you be doing during your week-long wildlife cruise? Well, talking to the animals of course! Having a chat with a penguin, taking a stroll with an iguana, swimming with a sealion, shooting the breeze with a magnificent frigatebird ... The Galapagos is a wildlife-lover's paradise and one that will leave you with some incredible memories. Arrive in Quito. You will be met at the airport and transferred to your city hotel. Relax after your flight. The old part of the city is still very much as it was at the end of the colonial period, but entering the new city you find a very modern place with few relics from the past. 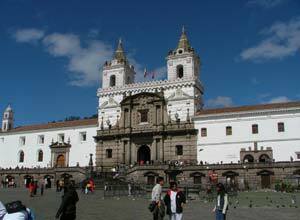 Today you depart Quito and head south to Cotopaxi with your driver/guide. You will arrive at Tambopaxi lodge for lunch. At 5897m, Cotopaxi is the highest active volcano in the world and the views you get during your lunch are simply outstanding! In the afternoon you can explore the park by car and also by foot, perhaps going to Limpiopungo Lake, maybe taking a short hike, but really it's up to you what you fancy doing. 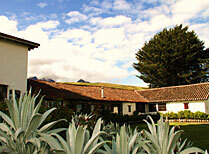 Tonight you stay at a small hacienda called Santa Ana which is near Cotopaxi. Full board. This morning you travel from Cotopaxi to Banos with your driver/guide which will take about 2 hours. 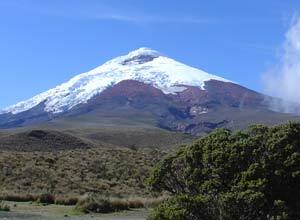 You have the option of a free morning in Cotopaxi, or you can stop en-route at local villages. On arrival check into your hacienda and maybe take a stroll around the lovely gardens. Breakfast, dinner. Today you have a full day in Banos with your guide to advise you on the attractions and activities. You can take a walk around the colonial town, visit hot springs and waterfalls and explore the are by bike, as you wish. It's a lovely area! Breakfast, dinner. An early start as you drive to Alausi with your driver/guide. Here you board the famous Devil's Nose train. 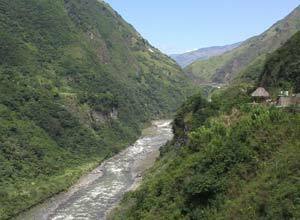 The Devil's Nose is a near vertical nub of rock 100 miles from Guayaquil, on the railway linking the port to Quito. An ingenious series of switchbacks was laid to climb the cliff face, requiring the train to travel both forward and backward as it ascends. 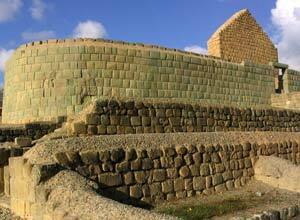 After your thrilling ride, visit the Inca ruins at Ingapirca before reaching your hotel in Cuenca. Relax after your long day. Breakfast. In the morning you have a guided tour of Cuenca. Founded in 1557, Cuenca is one of Ecuador's most beautiful cities. With its cobblestone streets, whitewashed buildings and huge cathedral, it has preserved its old-world architectural charm and colonial period atmosphere. UNESCO recently named it a World Heritage Trust site. The afternoon is free for relaxation or further exploration. Breakfast. 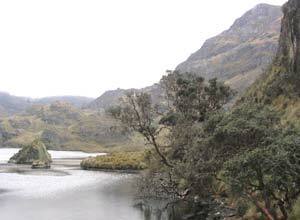 Today you travel to Guayaquil with your driver/guide, stopping at Cajas National Park on the way for a picnic lunch and time to admire the craggy mountains and beautiful valleys. Guayaquil is a busy port town and its airport is one of the major gateways to the Galapagos Island. Breakfast, lunch. 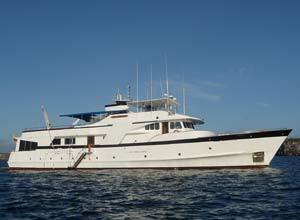 You will be taken to the airport for your flight to Baltra in the Galapagos Islands. You are met on arrival and transferred to the Beluga, your home for the next 8 days. 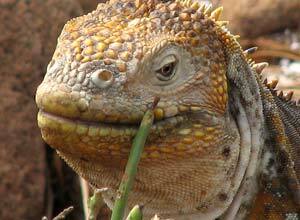 Your Galapagos wildlife adventure starts this afternoon with a visit to Cerro Dragon on Santa Cruz island. The super-salty lagoon here is home to flamingoes, pintail ducks and other birds, and not far away is a big colony of land iguanas. Full board. Today we visit Santa Fe and South Plaza. Try some snorkelling or swimming with sealions in Santa Fe's cove with its white sandy beach and turquoise waters. Giant prickly pear cactus plants are common here, and there is good variety of birdlife. South Plaza is like a massive tilted plate with one side dipping into the water. 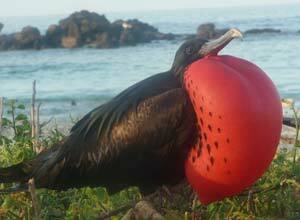 Red-billed tropic birds, sealions and swallow-tailed gulls love it here! Full board. 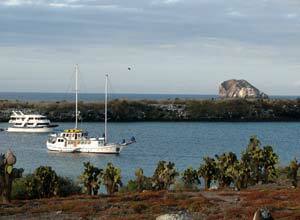 Visit Punta Pitt and Isla Lobos on San Cristobal. Here we will find frigatebirds, boobies, finches, sealions and pelicans. 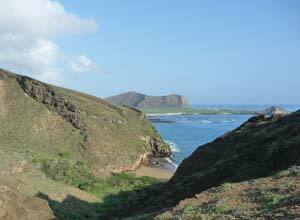 Punta Pitt is the eastern-most point in the Galapagos. 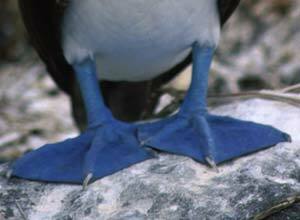 It is unique in being the only place in the Galapagos where you can find all three types of booby - blue-footed, red-footed and masked - as well as frigatebirds. Full board. Today we are at Espanola, the most southerly island in the archipelago, and a particularly interesting island. This is the only place where the marine iguanas change colour during the breeding season, the only place you find the hood mockingbird, and most notably it's where the waved albatrosses come to nest. 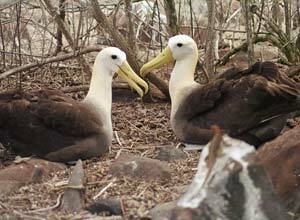 Come here between about May and December and you stand a good chance of seeing the albatross, and perhaps see their comical ritual mating dance! We visit the visitors sites of Gardner Bay and Punta Suarez, possibly one of the best sites in the Galapagos. Full board. This morning we visit the Charles Darwin Centre on Santa Cruz. Here you can find out about the natural history and issues of the islands, and visit the tortoise breeding project. 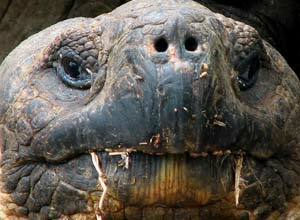 Later we explore the Highlands where you might see giant tortoises in the wild. Full board. We move to Santiago today and visit either Espumilla or Tagus Cove and Sullivan Bay. Fur seal grottos, superb lava flows and tidal pools are all awaiting you depending on the sites you visit, as well as some great wildlife of course - lava lizards, sally lightfoot crabs, herons, hawks, penguins ... Full board. Having sailed quite far north, today we visit Darwin Bay and Prince Philips Steps on Genovesa Island. Genovesa is particularly known for the largest colony of red-footed boobies, but also has big colonies of frigatebirds plus masked boobies, lava gulls, many finches, herons, mockingbirds and more. Full board. On the last day of your cruise you visit Black Turtle Cove in the morning. On the northern tip of Santa Cruz we hope to see white-tip reef sharks, sea turtles and rays. Then we head back to Baltra, where the cruise sadly ends. 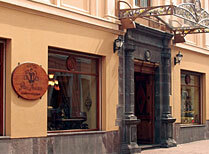 You will be transferred to the airport for your flight back to Quito and then on to your city hotel. Breakfast. 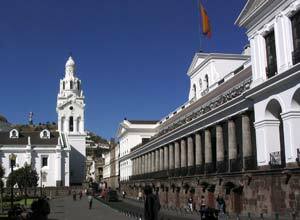 You will be transferred to Quito airport in time for your flight home. Breakfast. This holiday starts and ends in Quito. Flight prices from the UK start from around £675. Departure dates: This is a private tailor made trip, but of course part of the time you will be on a yacht as part of a group. Given that the yachts depart on a certain day, this specific itinerary, exactly as it stands using the Beluga, must be started on a Thursday. If you use a different yacht, the trip could be started on different days. Banos is a small city in the Andean highlands, known as the adventure capital of Ecuador, offering a broad range of sports and outdoor pursuits. The city of Cuenca is considered to be one of Ecuador's most beautiful cities. 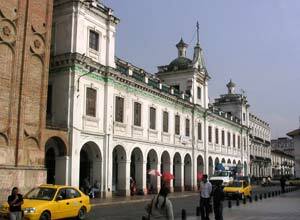 It has kept its old-world architectural charm and feeling of the colonial period. It is famed for its huge cathedral, and the smaller Indian cathedral, as well as being a centre for silver and ceramics craftsmen. 16 passenger deluxe motor yacht. Spacious and comfortable inside and out with a friendly crew. 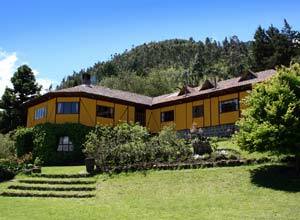 Traditional hacienda with cosy rooms and modern suites about 45 minutes from Banos in the Ecuadorian Andes. 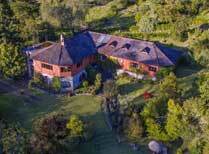 Hacienda Santa Ana is set in a valley surrounded by mountains and volcanoes. 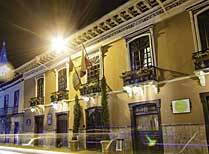 Santa Lucia Hotel is a beautifully restored town house in the historic centre of Cuenca.